Come stamp with Ronda Wade! My form of stamping is fun and easy to duplicate. I've been a Stampin' Up demonstrator in the US for 11 wonderful years. 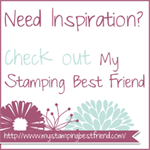 All Images © (2017) Stampin’ Up! You can now buy CDs of some of the amazing specialized conference calls that are offered monthly! You can listen to them over and over again! Private classes offer a proven and practical way for you to breathe new life into your business! This two part call will go over everything you need to know about private classes including how they work, why they work, how to set them up. We'll cover things to avoid based on real-life experiences, and more. Build your business and better serve your customers with what they want with private classes starting today! This teleconference series is designed to teach you HOW to do a workshop, WHY to do workshops, WHEN to do workshops, WHAT is a workshop and HOW to get bookings. Learn the reason why they should be part of your schedule every single month! Want to boost classes or your sales? Get more customers? THEN...adding workshops to your schedule is so important on building your business on a strong foundation! If you've been a demonstrator for 10 days or 10 years, this call will motivate YOU and your downline! BONUS: You'll hear from several top demonstrators who have used workshops to really build their business and boost their sales! You'll see several examples of these concepts put into action. You'll get a DVD video of my actual workshop. I'll go over my catalog tour, door prize form, how I get bookings, and my projects! You'll actually get to see a workshop in action! It is so powerful to actually see and hear the steps of a real workshop! The add-on is a little more expensive to cover the cost of the DVD's and postage to ship them to you. I will be mailing the DVD to the address you have on file with paypal. If your address is different now, please email me and let me know! If you are a leader, this PDF handbook is a must-have tool for your business! This handbook is based on the extremely popular Be the Best Leader You Can Be teleconference series offered in early 2011. Leadership is a broad and complex topic and this handbook will help you get a handle on all the areas you need to cover as a leader and help your business and team grow! Topics covered in the handbook include: your personal business, meetings, team incentives and recognition, team training and motivation, balance, time management, growing your team and much, much more! Running a successful business is just as much about the little things that you do as the big things! This call is jam packed with 50 golden nuggets you can take away and implement in your business! I have been asked thousands of times what my "secret" is....and really, there is no secret! Over three years ago, after I was #1 in the company for the third time I did a training on the "secrets" to my success and these are truly things any demonstrator can do! It's the things I do, and many other top demonstrators do day in and day out. Some things are more important than others but I'll go over ALL of them! This two-part training CD focuses on all aspects of recruiting. This training looks at who to recruit, how to recruit and getting your recruits to build their own business. It's based on my experiences recruiting more than 150 people and working with my team of more than 50 active, direct recruits. There's an optional add-on, a NEW RECRUIT TRAINING, that you can share with your new recruits as soon as they sign up! Learn how to price your classes, types of classes to offer to both boost your sales AND increase your profit! Classes can either HURT your business or help your business. Price them, and run them so that you increase your sales, AND keep a strong profit. Plus use them as a feeding ground to find new customers, and create stampers...not just class attendees! Classes should be supporting your business and helping it grow! Learn all the in's and outs with this training CD. This is a two-part call which looks at how to build your business using workshops. This will look at practical ways to book workshops and make them the cornerstone of your business. In addition to your CD you will receive flyers and handouts via email. Boost your sales by focusing on the Big Shot, and the ongoing sales you get by learning how to market and use this awesome tool! Class ideas included. Kick start your business with this CD focusing on getting your organized and focused. Perfect for new demonstrators or anyone who wants to kick it up a notch. Just wanted to email to say THANKS! The $15US that I spent for the recording just paid off! I listened to your recording, and already had a class scheduled for Monday, although only one person was registered. On Thursday or Friday, I sent out a reminder email, as you recommended. I didn't get any additional responses, but I did get several people reply to say they couldn't come, but might come next time! I don't usually even get those, so that was a bonus. I'm now putting together my schedule for Sept/Oct ... and will be taking your advice about picking a 'usual' night for card class. I've always moved it to fit into others' schedules, hoping to pick up different people, but I think regularity will be better! So ... it's Monday morning, and I still only have one person registered ... and I have a meeting at church that I should go to at the same time as class. I call the customer, tell her she's the only one, is she fine with one-on-one? She was (and really, that's how most of my dealings with this customer have ended up). I used (consciously) a lot of the phrases you spoke of : "This is a sample you can use at home" came up several times. We used several Big Shot embossing folders. Net result: She bought a Big Shot!! (the first one I've ever sold! - remember that I'm really on that edge between hobby and business ... I think it's a business, but don't work it like one, and don't have tons of customers ... yet!) She bought three of the embossing folders. Total sales: over 280 Cdn. I've had workshops end up a lot smaller! Such small things ... "it's a sample to repeat at home" ... sending out repeat invitations ... adjusting the "class" to meet her needs ... and such a wonderful result. Thanks so much for sharing your knowledge and experience! I just wanted to email you and thank you for offering your calls to everyone - even those not in your training. I have been forwarding the info to my downline (for them to sign up), and lots of them have been benefiting from the calls. I usually do some kind of training on it, too, but I can't fit it all in, and even when I do, I don't translate it as good as you (and my time is more limited, so I have to cut info out). Plus, they can listen over and over like I do, so they get more out of it that way. When I do go over some of the info from a call at meetings, the ones who listened to your calls always agree with me, give tips I forgot, and encourage everyone to take the calls, too. When I email the group and say who is in and that we only need x more to get the group rate, I always fill it!! So, THANKS!!! I just wanted to thank you again for emailing me the "say yes" bookmark and to share my wonderful news with you. At my workshop last night I got 3 bookings! (4 out of my 6 guests booked because 2 friends are hosting a workshop together.) I didn't use the say yes bookmark this time but plan on using at my upcoming workshops. I did use the door prize form that you shared with me and found it very helpful. I also offered a free stamp set from my basket as an incentive for booking a workshop. We were able to do 4 projects. We had a great time. Thank you so much for sharing so many wonderful ideas with me. I look forward to working with you more in the future. I just now found the time to listen to the recordings and I have to say I am absolutely thrilled and already preparing to put your suggestions in place. I am sure they will work for me! I just want to thank you for the idea of running a Big Shot class. I have one scheduled for this weekend, and can't believe how many people signed up! I had to schedule another for next month because more people wanted to come. Finding just a few people to hold workshops for me has been challenging as a starting Demo, and this is really the first substantial income I have made with Stampin' Up! - not that I mind, I mostly joined as a hobbyist anyway. But I have to say it's pretty cool to know that I will be able to buy school clothes for my youngest, and books for my college student just on these two big shot classes alone. Thank you for all the great ideas you share with us! The contents of my blog are my own and ©Ronda Wade and as such may not be copied, sold, changed or used as your own for contests, profits or otherwise without my permission and is here solely for the purpose of inspiration, viewing pleasure and enjoyment. Thank you for understanding.